If your Oriental rug has been damaged, then you should give us a call. We will visit your Las Vegas home or business as quickly as we can to repair your rug. We will do everything that we can to make sure that you get great customer service. 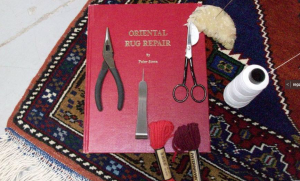 There are many ways that you can benefit from having professionals repair your Oriental rug. If you get the damage repaired, then you will probably be able to keep your rug a lot longer. Repairing the rug is a lot cheaper than having it replaced. Furthermore, if you have a professional take care of the job, then you will be able to rest assured that it will be done the right way. We have skilled technicians who have received the necessary training. They are also experienced. Using the right tools is one of the keys to making sure that a job will be done the correct way. We provide our technicians with high-quality tools. The tools and products that we use are also safe. The safety of both our customers and technicians is very important to us. We look forward to repairing your rug. We also look forward to providing you with the superb service that you want. Schedule an appointment with your Oriental rug cleaning and repair service today. Rugs are tough and can stand up to a lot of traffic and dirt. However, they all get damaged at some point. Sometimes, they get old and start to wear out. Other times, accidents leave them damaged. It is important to realize that you don’t have to throw out damaged rugs, especially oriental ones. 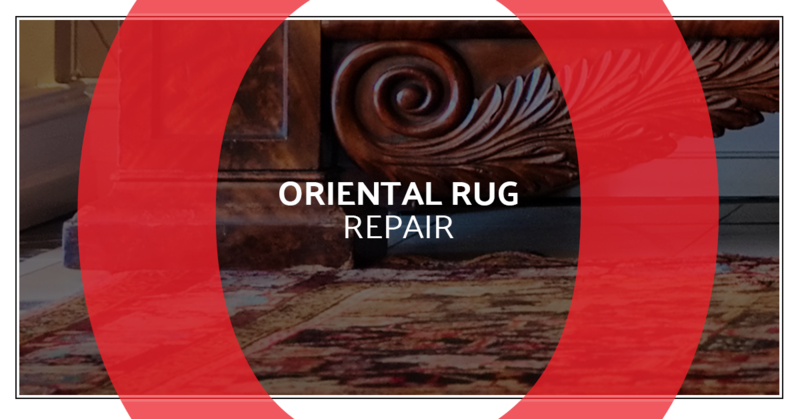 The team at Oriental Express has extensive experience in repairing rugs and restoring them to their former glory. 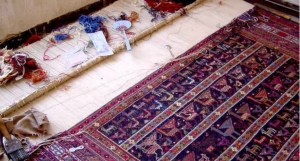 We can drastically extend the life of your valuable, beautiful oriental rugs. So why is investing in oriental rug repair with us in Las Vegas worth it? Have you ever experienced getting traditional carpeting installed? It takes a lot of time, energy, and materials, and when the carpet gets old and needs to be torn out, you end up with a big pile of old carpet that will probably just go molder in a dump somewhere. If you get new carpet installed and you don’t like the color as much as you thought you would, you’re pretty much stuck unless you want to pay to have it all ripped out and replaced, a very wasteful process. When you spill on traditional carpet or create more permanent damage, you can’t pick it up and toss it out. All the carpet has to be replaced. Additionally, traditional carpeting comes with little surprises like tacks that haven’t been inserted all the way and lurk in the seeming softness of the carpet, ready to jam your foot when you step on them just right. So if you’re tired of your damaged rugs and you’re considering installing traditional carpet, we encourage you to think again. Area rugs deliver the same luxury and comfort while being portable and flexible. They allow you to play with color and texture to your heart’s content. You simply invest in a rug you love (along with a pad), unroll it where you want it, and you’re done. When the rug starts to wear out, that’s no problem because you can simply contact our skilled team in Las Vegas. We specialize in oriental rug repair and cleaning, and we can carefully make your rug as good as new for a fraction of the price you would pay to install traditional carpeting. Contact us to learn more! Rooms change with time and what is required of them. When you start out, you might be fine with the extra bedroom being an office. However, if you have a child, the office might become a nursery where accidents and spills can happen but it still needs to be comfortable. If that bedroom has traditional carpet, you may have some trouble changing things over to suit a messy little one. Sure, you can put a rug on top of the carpet, but that’s a double-layer situation that you generally should avoid. Instead, we hope you have area rugs. Area rugs can be picked up and moved around with little effort, empowering you to completely transform your spaces with ease. Whether you need a change because you’re bored or because you got new furniture that requires reorganization, being able to work with rugs will make all the difference. Part of what makes rugs so versatile is that they are self-contained pieces of art. When they get damaged or worn out, you can address the problems easily without having to disrupt all of your furniture or pay for professionals to change out all of your traditional carpeting. You can put rugs in front of the sink in the kitchen, beside your bed, under the dining room table, and in that reading corner that needs a little extra something. At Oriental Express, we are proud to empower people in Las Vegas to keep their “floor art” looking as good as new with our cleaning and restoration services. Our years of experience allow us to accomplish rug work that may take you by surprise. Contact us today! Keeping your floors clean is a very important part of making sure that your home looks great and remains a healthy living environment for you. 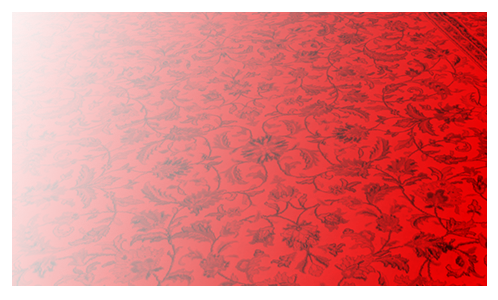 If you have traditional carpeting, you know that an elaborate operation has to happen when it’s time to clean them. You’ve got tubes stretching from the cleaner’s van into your home, there’s multiple implements, strange chemicals, and that only happens after you had to move all of your furniture. Once the carpet cleaners leave, you can’t walk over the carpets or put your furniture back until everything dries. It’s a massive pain. Sure, you can clean your own carpets, but the risks that come with that choice (mold, stains, water troubles) lessen the benefits by a lot. No, you need rugs. Rugs are blissful to clean in comparison to traditional carpeting. Because they are portable and have limited square footage, it is easy to invest a lot of time and care into every part of them. If a rug has picked up some leaves, it’s no problem to simply pick it up, carry it outside, and brush it off. If it’s getting dirty enough that its colors are fading and it looks tired, it’s just as easy for us to pick it up, give it a carpet spa treatment at our facilities, and bring it back looking like new. We can move your furniture (as long as it isn’t very heavy) and make the process as effortless as possible for you. You might look at this one and scoff; after all, oriental rugs don’t come cheap when they’re done right. However, when you consider the massive benefits of using rugs instead of wall-to-wall carpet, it’s hard to ignore the advantages of rugs. Oriental rugs are not only tough and long-lasting, they feature jewel-like colors and delicate designs that can take any room to the next level. When paired with a pad, they offer the same plush luxury as traditional carpets, and, best of all, when it comes time to repair or clean them, the process is extremely simple. As a result, you don’t spend nearly as much as you might on a traditional carpet. One of the ways that rugs can save you money is with their portability. Where a traditional carpet will wear down unevenly due to traffic and there’s nothing you can do about it except replace everything, you can easily move a carpet that is wearing down too quickly to another location. Rugs come in all different kinds of materials, and there is basically a rug material for every place in your home. Whether it’s a rug in front of the kitchen sink, under the piano, or at the end of your bed, you will save money by investing in tough, portable rugs that are easier to maintain. Rugs can last for decades and look gorgeous if they’re cared for by teams like ours. Contact Oriental Express in Las Vegas to learn more about what we can do for your rugs and upholstery! If there’s one thing we can’t rave enough about when it comes to oriental rugs, it’s their incredible beauty. The colors and designs that make them so distinctive can easily become the main focus of any room, adding deep interest and vivid color where things have been bland. There is also an inherent luxury to oriental rugs, so whether you need to up your design game in the study or the hallway, oriental rugs will always deliver. Oriental rugs also allow you to be bold in a tasteful way. Where it probably wouldn’t be wise to install lime-green wall-to-wall carpeting, if it’s your favorite color, you can easily bring it into your room in the form of a rug. From there, the possibilities are endless. You can play with window dressings, furniture colors, pillow colors, and beyond to create a truly striking room. Speaking of striking rooms, have you ever surveyed a large, empty space and wondered how you’re going to break it up into useful mini-spaces? Rugs are the answer. You can use rugs to define small spaces within a large space, creating flow, intimacy, and comfort with just a few investments. Add some furniture, a plant, a bookshelf or two, and suddenly, you’ve transformed a disorienting limbo into an inviting, useful space where people will want to be. This concept can be applied to practically any room with great success when you understand the potential of oriental rugs. Let Oriental Express be your allies when it comes to rugs and upholstery in Las Vegas! Do you struggle with seasonal allergies? Maybe you wrestle with allergies all year long. Either way, if you experience allergies, you may feel like textiles are your enemies. Curtains, upholstery, and rugs collect dust and pollen, hold the particles until they’re brushed or walked-on, and then they toss a bunch of the irritating stuff into the air. It can be like living in a snowglobe of everything that makes you sneeze. If you avoid textiles for this reason, we can’t blame you. However, we want to present rugs as a fantastic way for you to access the comfort of textiles without the inconvenience of foot after foot of carpet. Carpets act as low-key air filters. Particles fall into them every day, and unless the particles are cleaned out, they just stay there. If you have allergies, you don’t want to have to invest in traditional carpet cleaning every time the allergens build up. Instead, invest in rugs. These portable, beautiful pieces of floor art can be easily taken out of your home for cleaning and brought back as good as new. Another advantage to choosing rugs when you have allergies is that you can select rugs with very low piles. Low pile tends to collect fewer particles. Rest assured that no matter what type of rug you get, Oriental Express can handle it in Las Vegas! Different rugs have different densities and levels of softness. The term “pile” is used to refer to how dense a rug’s pile is. If the pile is short, the fibers are short. If the pile is long, the fibers are long. There’s also the term “pile height” which refers to the distance of a rug’s surface down to its backing. This is an important measurement because a long-fibered carpet can get matted quickly and have a pretty small pile height. If you still aren’t sure what is going on, don’t worry! We have five insights on rug pile for you!